American Club tobacco has been pleasing tobacco lovers for generations. 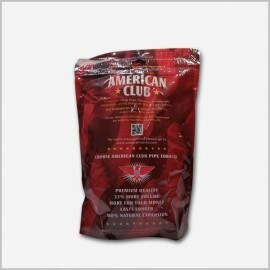 The wide range of American Club Pipe Tobacco including American Club Regular Pipe Tobacco 16 oz, American Club Light Pipe Tobacco 16 oz, American Club Menthol Pipe Tobacco 16 oz, and many more flavours. Whether you are a fan of regular pipe or menthol pipe tobacco flavors, there is the best tobacco for our customer from the top brands to smoke that are packed in convenient sizes. 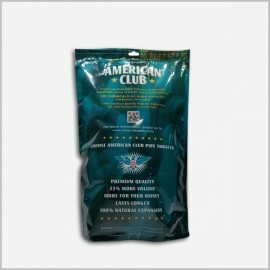 American Club Tobacco for Sale; Just like the name suggests, the American Club Pipe Tobacco blend is packed with full of natural and familiar tobacco tastes which you won't find any harsh tasting chemicals or treatments with this fresh batch of tobacco, as each bag is sealed in with traditional flavours that you won't find in the others. 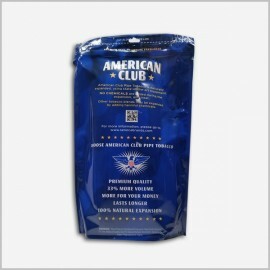 American Club Tobacco for Sale; with so many great new premium tobaccos in the industry today, it can be easy to overlook some of the best and truly classic brands of tobaccos that have been pleasing smokers for many decades. 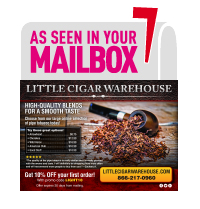 Moreover, Little Cigar Ware House can remain the best-seller and a very popular choice with our older more seasoned customers that love the taste of a genuine American Club Pipe flavour Tobacco. American Club Tobacco for Sale; Buy your American Club Pipe Tobacco online from Little Cigar Ware House and browse our great selection of affordable products to satisfy your palate. Plus, you also have the choice to buy tobacco individually or in boxes. While you may find a few of these top brands in our stores, you will always find a much wider selection here at Online. If you normally smoke a box every few months, you can save money and will find it more convenient to order American Club Menthol Pipe Tobacco online from our outstanding selection. Now you can satisfy your taste for tobacco while being able to choose from a unique variety of tobacco flavors.